MPLS is a technique or form of networking that gives you a completely private, dedicated network that can be linked to more than one site. Essentially, MPLS networks ensure that data gets to the place it is supposed to get to via a prioritised, specialised connection. Why does my business need MPLS? MPLS networks generally achieve a greater Quality of Service, including high levels of reliability, speed, and voice quality. There is one, centralised firewall to manage with an MPLS circuit- this makes things easier to control from the point of view of your IT resource. Data centers and other key sites can be connected in multiple ways and remote sites can quickly and easily reconnect to backup locations if needed. Data is ‘packeted’, and forwarded at a switching level rather than a routing level. This means data flow is fast, secure and prioritised, via a high-speed connection that is centrally managed. You can add or remove users or different sites as your business changes, with little hassle. This is particularly suitable for businesses that operate across multiple locations or sites, or have a remote working or home-working contingency. 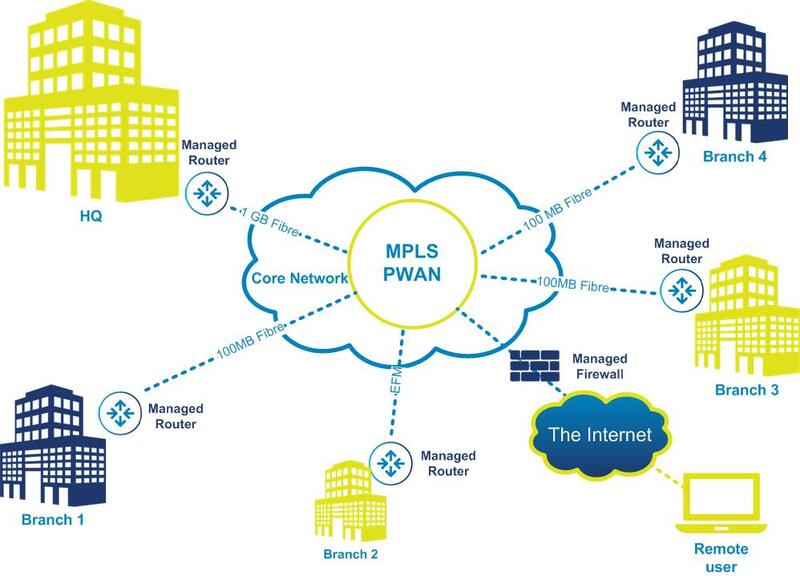 MPLS can be a powerful, flexible and cost-effective tool for any network- aside from the inter-site connectivity, data can be hosted centrally. MPLS Networks can also support VoIP. We offer bespoke solutions that actively support your wider strategy and seamlessly fit into your business.